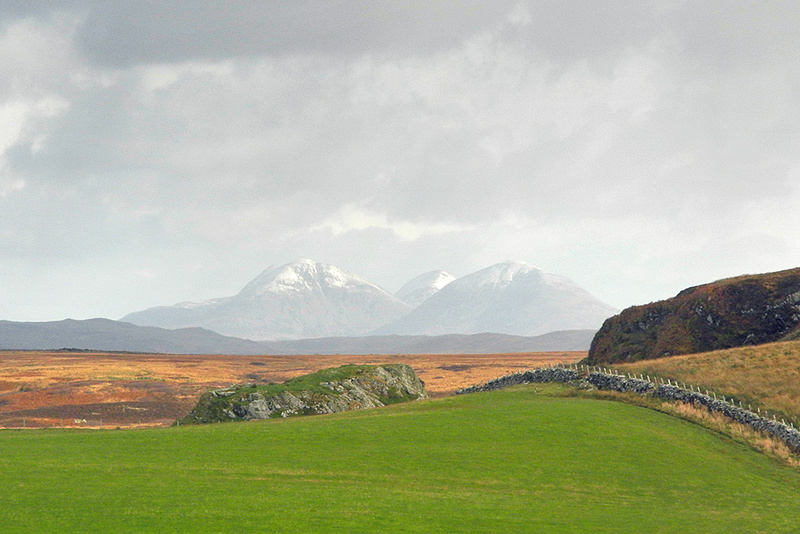 An unusual view in November from Kilchoman on Islay to the Paps of Jura in the distance: At first glance it looks like there’s snow on the tops of the Paps, however, talking with people living closer to them it turned out to be hail, not snow. This entry was posted in Cloudy Weather, Landscape, New Post, Sunny Weather and tagged Islay, Kilchoman, Paps of Jura, Rhinns of Islay by Armin Grewe. Bookmark the permalink.